Small and versatile yet incredibly capable. Unlike other products on the market, the Advance needs NO tools or special attachments to achieve its compact folded position. This functionality gives active users the option to travel outside the confines of their own home. The Advance can be easily dismantled, without tools, into separate parts of less than 15 Kg each, making it highly portable. 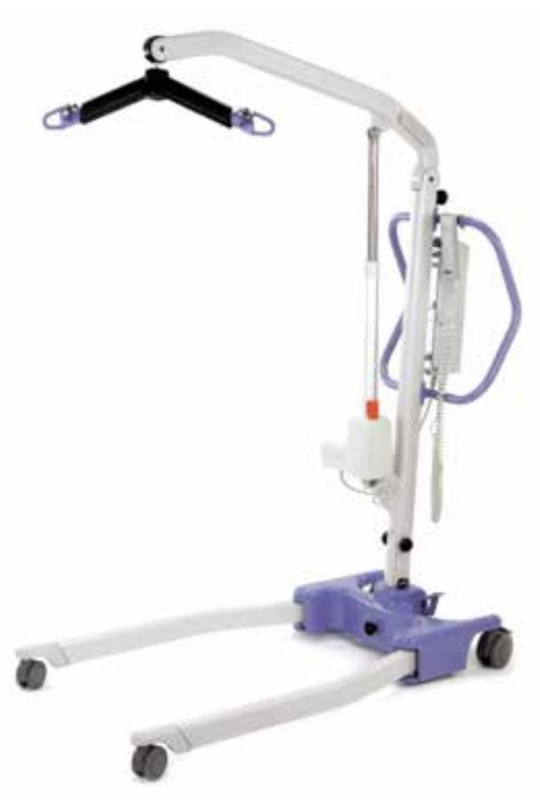 The Advance's unique ‘swan neck' leg design allows the hoist to get even closer to the widest of obstacles. This is especially useful when encountering large chairs, bulky commodes and wheelchairs. The oversize handle provides a large surface area from which the carer can position the lift before use.